Utah Viola Society Annual Recital! 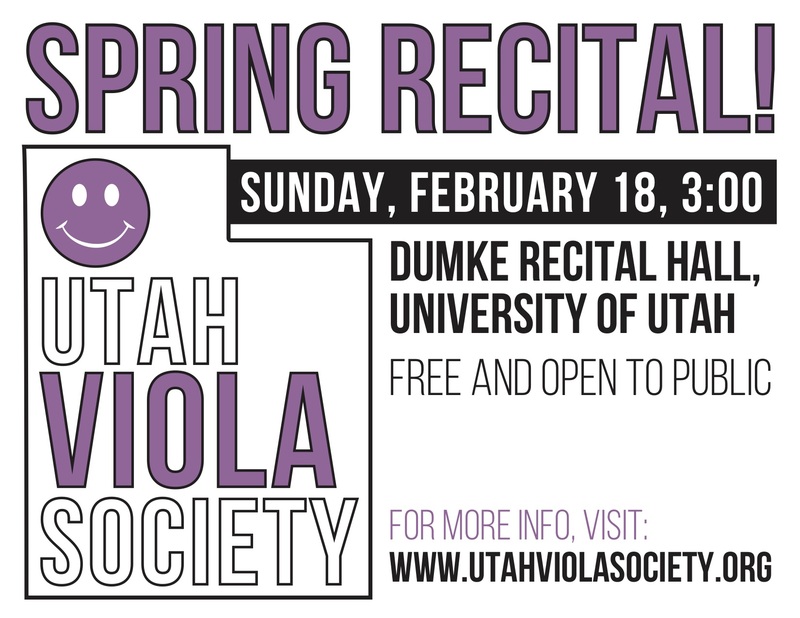 The Utah Viola Society is pleased to announce our annual Spring Recital! Please join us Sunday, February 18 at 3pm at The University Of Utah School of Music, Dumke Recital Hall. Please help us to spread the word – bring your students, teachers, friends, and family!